Carrots have not always been orange. Natural carrots were either white or purple and probably inedible. 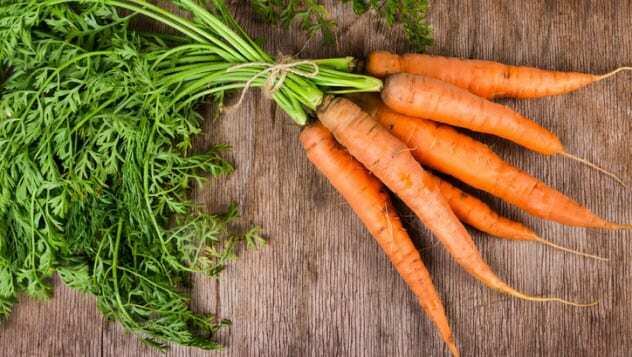 The orange carrot is a hybrid of the yellow carrot, which is a hybrid of the white carrot. The earliest-known ancestor of the modern consumable carrot appeared in Persia in the 10th century. The Persians selectively bred the carrots with the biggest roots to create bigger roots and, ultimately, a big single root. As the selective breeding continued, the carrots mutated from white or purple to yellow and finally orange. Selective breeding of carrots continued until modern times to improve their flavor and color.